With temps in the upper 60's all week we still have some snow hanging on. 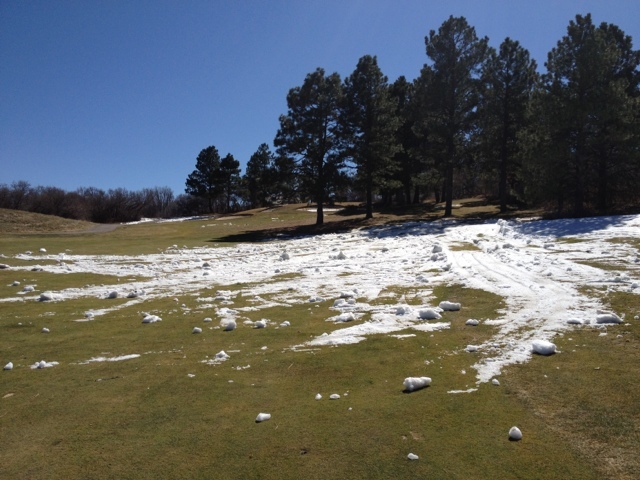 Number five fairway has had snow cover since December 4th. With a little help from us it should all be gone by next week.